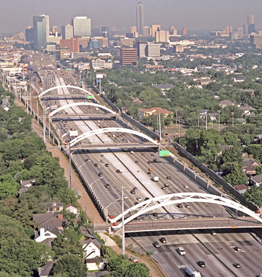 Williams Brothers built half of the interchange on IH 45 Gulf Freeway at Beltway 8. 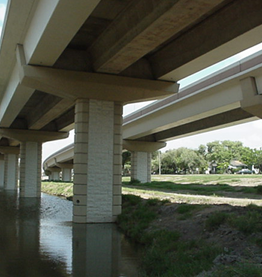 The impressive five-level interchange features high flying ramps, a symmetric design, and a sprawling right of way. 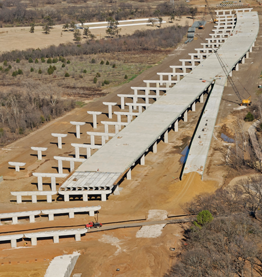 This view looks northwest along the freeway. 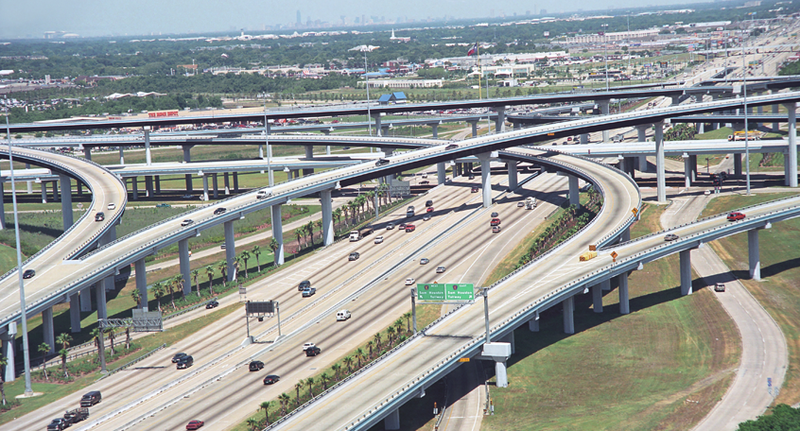 The completion of the interchange in 1997 capped 50 years of nearly nonstop construction on the Gulf Freeway.